The Extra Strength One Per Day is our highest potency formula in an easy to swallow caplet. 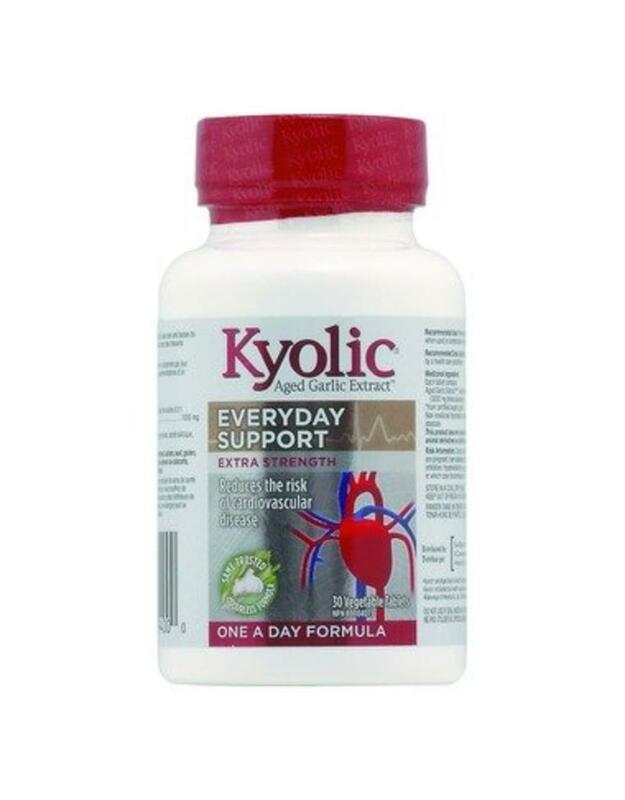 KYOLIC is a unique aged garlic extract powder produced through a proprietary aging and extraction technique that dramatically improves the natural compounds in garlic and reduces the deleterious & malodorous component of garlic, allicin. 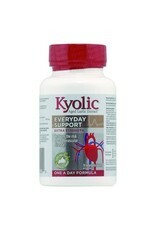 Kyolic Aged Garlic Extract has been shown to have an array of benefits, including maintaining healthy cholesterol levels, enhancing circulation, supporting immune function, fighting stress and fatigue to help in maintaining healthy function of the liver and nerves. Impressive benefits backed by research and all without the stomach upset, gas and diarrhea that may accompany non-Kyolic garlic consumption. Contains no artificial preservatives, flavours, colours, starch, wheat, corn, soy or yeast. Tablets of this product are suitable for vegetarians.